Recommended for those who want to spend their daily life with a sense of excitement that seems to be more pleasurable for their usual lives. "Flower and miscellaneous goods" that provides a comfortable living space "Gift & Living" shop "RURUSUS (Rususu)". Even if it is seen from a distance, the appearance of the shop is very pretty. 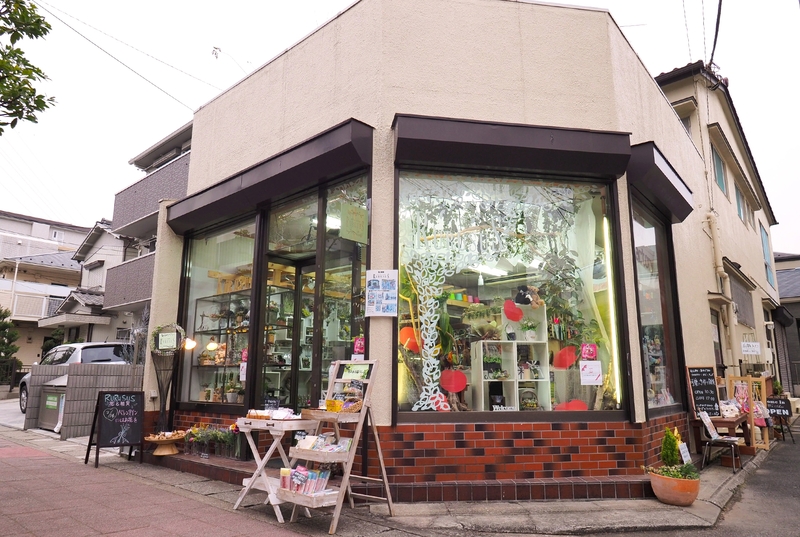 There are full of natural and well-organized goods inside the store, items of story nature are conveyed to people who understand value regardless of age, good merchandise making in Japan and delicate beautiful handicrafts. The main item is original and creative flower arrangement. Flowers of various sizes are designed by the owner, including pots. There are plenty of cuteness and chicness items which you can just putting on your room. Besides, there are lots of accessories that are perfect for small gifts such as bags and accessories of handmade artists, instruments, and it is fun to find out. RURUSUS will continue to aim for locally loved stores and lifestyle proposal shops. The shop's original flower arrangement will surely be pleased as a gift for the coming season, such as White Day, Hina Matsuri, Mother's Day etc.